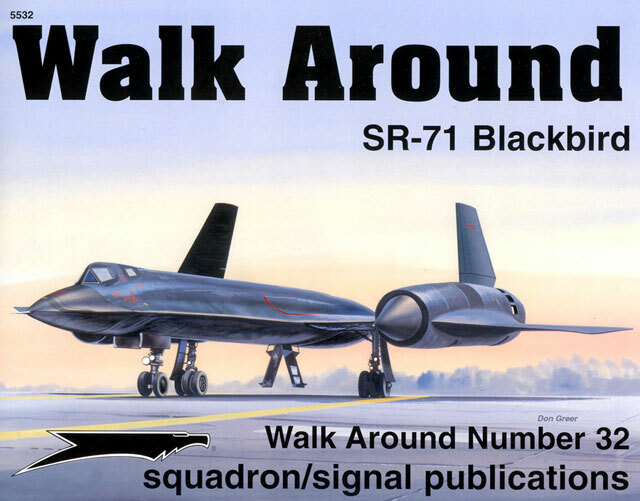 New from Squadron/Signal Publications in their excellent Walk Around series is Number 32, covering the SR-71 Blackbird. The Walk Around is authored by James Goodall with colour by Don Greer, and artwork by Dave Gebhardt and Darren Glenn. 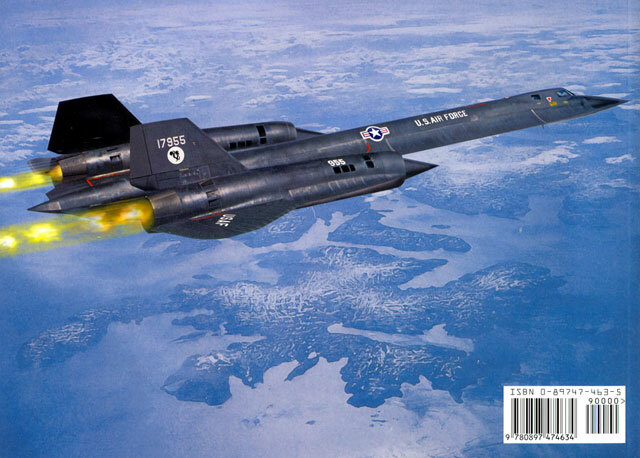 The SR-71 and its predecessors the A-12 and YF-12 have always been shrouded in secrecy and the intimate details that a modeller needs to transform their model into an accurate replica have been near on impossible to obtain – until now. The book is logically laid out and follows the life of the SR-71 from its early beginnings as the A-12. It provides answers as to the hows and whys of the aircraft's reason for being, its evolution through the changing needs of the military and political situation of the time, its employment and finally, its after-life through preservation in various museums. Coverage is also provided for the m-21/D-21 'TAGBOARD' drone program. The format is in the typical Squadron/Signal style of maximum photographic coverage supplemented by comprehensive text, line drawings, and colour profiles. As you would expect from a 'walk around' style book; photographic coverage is comprehensive. However, given the subject of the book the photographs are truly outstanding with close and clear shots of the cockpits, ejection seats, camera bays, and electronic equipment bays. Further photographs, equally as clear, show the insides of the undercarriage bays, engine bays, and the engines themselves. Photographic coverage even extends to the different flight suits worn by the crew. The book is in landscape format with cardboard covers with 79 glossy pages that contain 110 full colour photographs, 122 black and white photographs, three line drawings and 11 colour profiles with a further colour painting on the cover by Don Greer. Wow! That's the impression I first got when I opened this book. The author appears to be the Blackbird's number one fan, such is the detail and background information provided. Well worth the cost and of interest to both the modeller and aircraft enthusiast alike.